Tuesday rolled round, and with it our third peak of the trip: Whernside. The diamond in Yorkshire’s crown, Whernside is the highest of the Yorkshire Three Peaks – and arguably the peak with the best views. From the lofty heights of 736m above sea level, the summit offers views of the Lake District and Morecambe Bay on a clear day – and if you bring your binoculars, you might even spot Blackpool Tower! The morning after our short but sweet ascent of Pen-y-ghent, we were all fuelled up on Morrison’s golden syrup porridge and hot chocolate and ready to attempt Yorkshire’s second-highest peak: Ingleborough. At 723m high this is hardly the Himalayas, but it did feel like a bit of a slog compared to the previous day’s hike. Living on the edge of the Yorkshire Dales, it would have been rude not to have attempted the Yorkshire Three Peaks. So attempt it we did – though not within the challenging twelve-hour time frame! Instead, we booked ourselves a pitch at Holme Farm campsite for three nights, with the aim of doing a peak a day. If you’ve seen Harry Potter and the Deathly Hallows (Part 1), it’s likely you’re no stranger to the stunning limestone pavement of Malham Cove. Although it’s located only a stone’s throw from the village of Malham, we took the train to Settle and hiked from there, notching up 25km (or 43,446 steps, according to Laurence’s iPhone) on our round-trip route . . . The Dales Way links Ilkley, a picturesque market town in Yorkshire, to Bowness-on-Windermere, a beautiful tourist honeypot in the Lakes, taking in 84 miles of moorland, pastures, valleys and fens along the way. 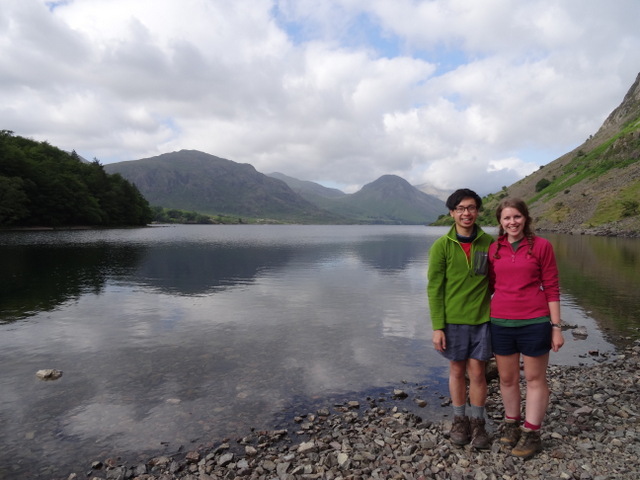 Before returning home for Easter, Laurence and I decided to walk a chunk of it – and have since bookmarked the entire route for a future trip . . .